Extensive website including info about the island and the opportunity to become a Diurach which gets you on the Distillery's mailing list. It also entitles you to a dram of Jura whisky a month for life - though this is only available from the bar of the Jura Hotel! 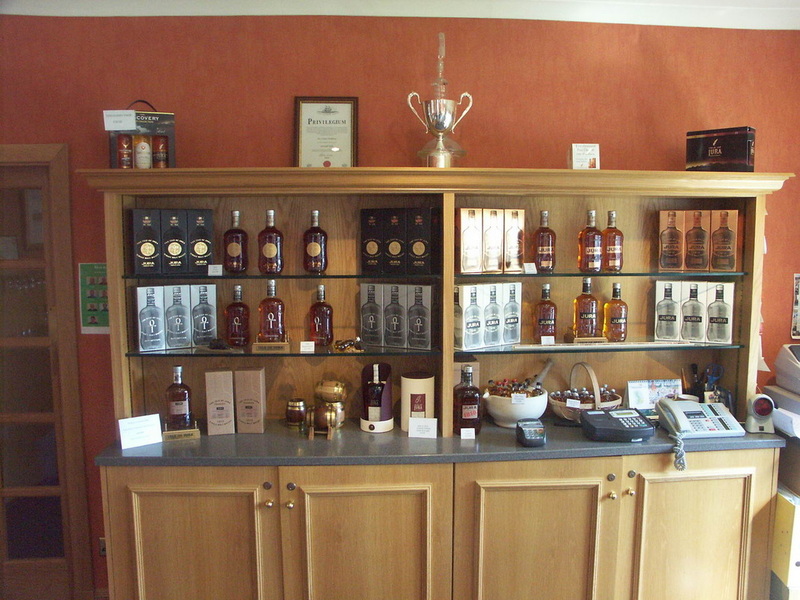 Jura has a visitor centre and tours of the distillery are available. In Winter (November to March) the Visitor Centre/Shop is open - Monday - Friday 10:00 to 16:00; Summer opening Monday to Friday 10:00 to 16:30, with £6 Distillery Tours at 11:00 and 14:00. Book through the ﻿﻿website﻿﻿ - giving at least 24 hours notice. See website for detais of more in depth tour options. All tours are limited to small groups. According to a previous incarnation of the distillery website it was founded because the Laird Archibald Campbell saw an apparition of an old woman who berated him over the lack of whisky on the island! 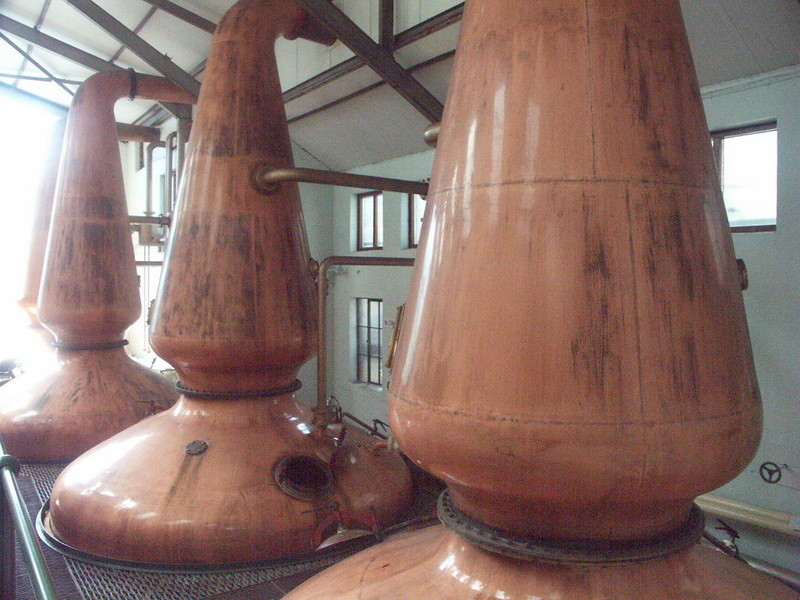 Whatever the inspiration, Campbell built the distillery and rectified the error. It was named Small Isles (the bay in which Craighouse is situated is guarded by a reef of small islands), changed hands a few times, but was closed and dismantled in 1901. 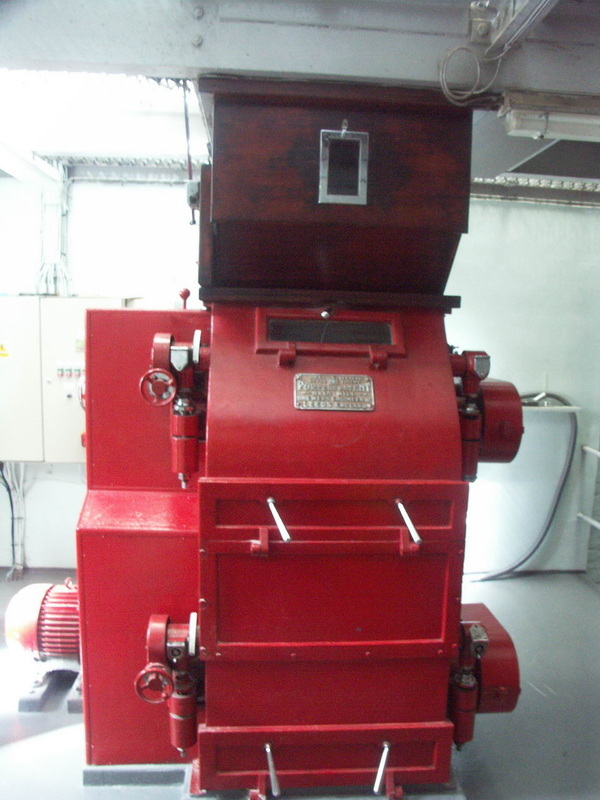 In the 1950s with the population of Jura declining rapidly, two local landowners decided that rebuilding the distillery would be a good way of increasing employment on the island, and commissioned William Delmé Evans to design and build a new distillery. 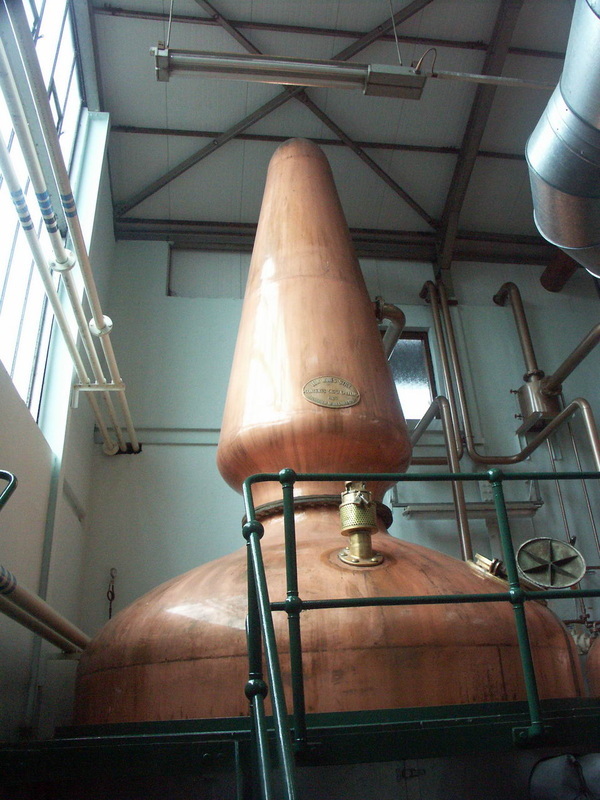 It was decided to use tall stills to produce a lighter style of whisky more akin to the Highland style than that of neighbouring Islay, which the original distillery would doubtless have produced. 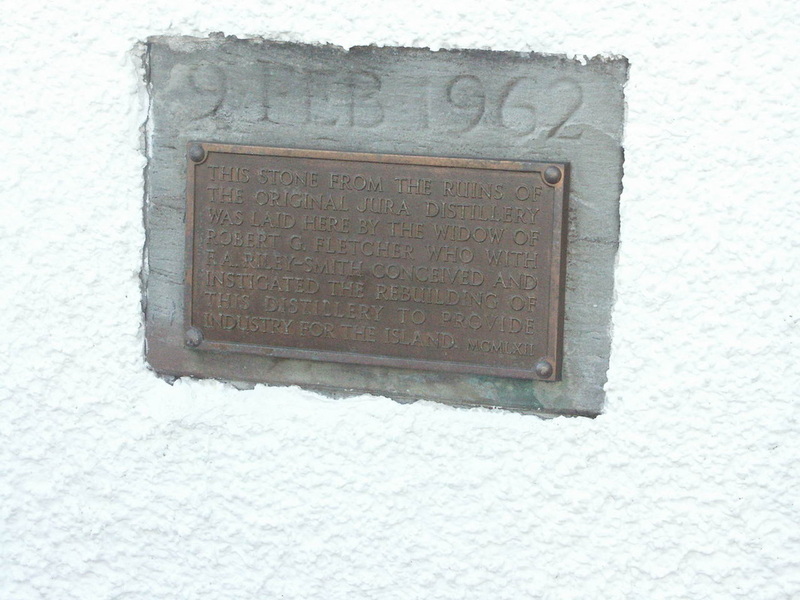 The new distillery opened in April 1963, by which time it was owned by Scottish and Newcastle Breweries. It was sold to Invergordon Distillers in 1985, which evolved into Whyte and Mackay, which itself went through a number of name and ownership changes before renaming themselves ... Whyte and Mackay, now owned by Emperador, part of Alliance Global. 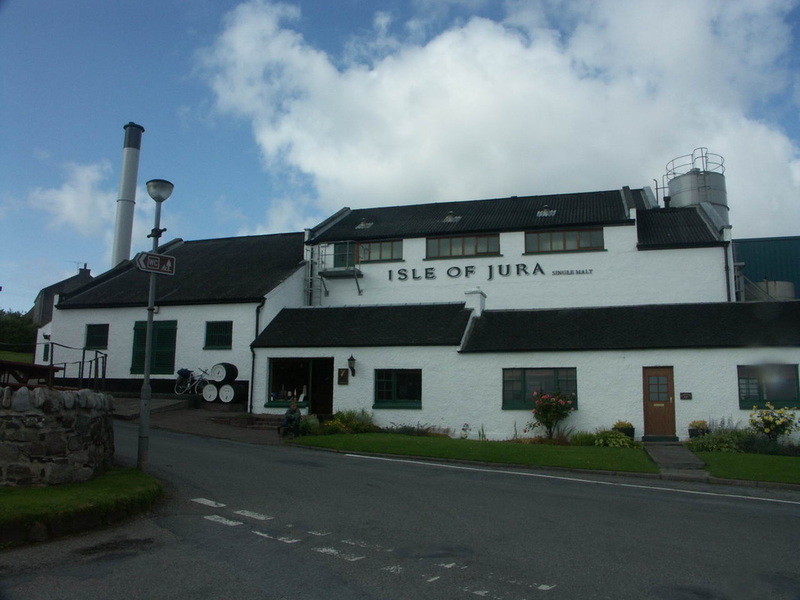 Isle of Jura Distillery is in Craighouse, Jura's only substantial settlement. Jura basically has only one road which starts as the A846 at Feolin Ferry passes through Craighouse, between the Distillery and the Hotel and heads on North towards Barnhill where George Orwell wrote 1984, though it has petered out into a rough track long before then. The main access to Jura is by the Ferry from Islay. Head for Port Askaig served by CalMac from Kennacraig Winter Summer). Getting to Kennacraig? - see main Islay page. Jura Passenger Ferry - fast ferry from Tayvallich to Craighouse - carries bikes. This normally operates April to September, twice daily, once on Sundays, no service on Wednesdays. £20 each way, bikes free. Check website for exact dates and sailing times. Jura's core range consists of the 10yo (Origin); 16yo (Diurach's Own) both at 40%; NAS Superstition (43%) & NAS Prophecy (46%) - the latter two include peated whisky. 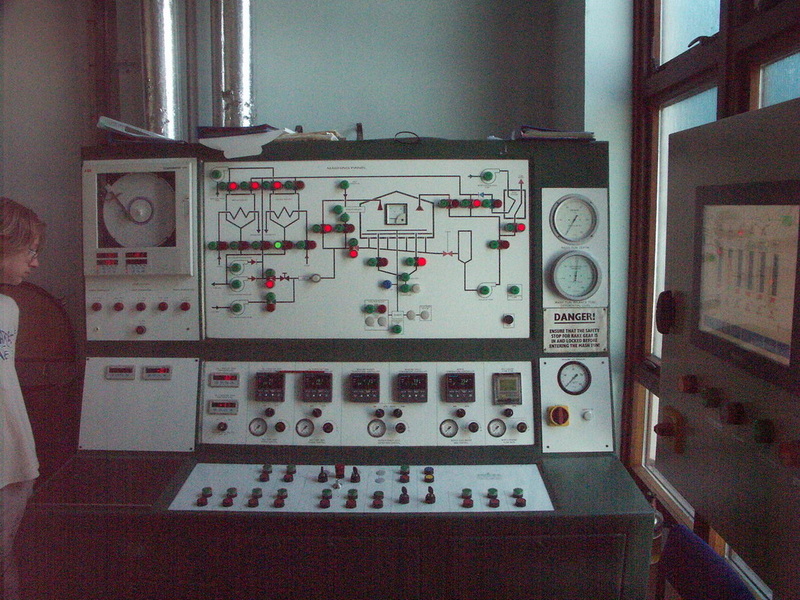 Jura also produces many limited edition bottlings. Not too many independent bottlings - but I've seen Gordon & MacPhail, BBR and Douglas Laing expressions - as well as the SMWS. Photos on this page were taken by me. Click on photo to enlarge. 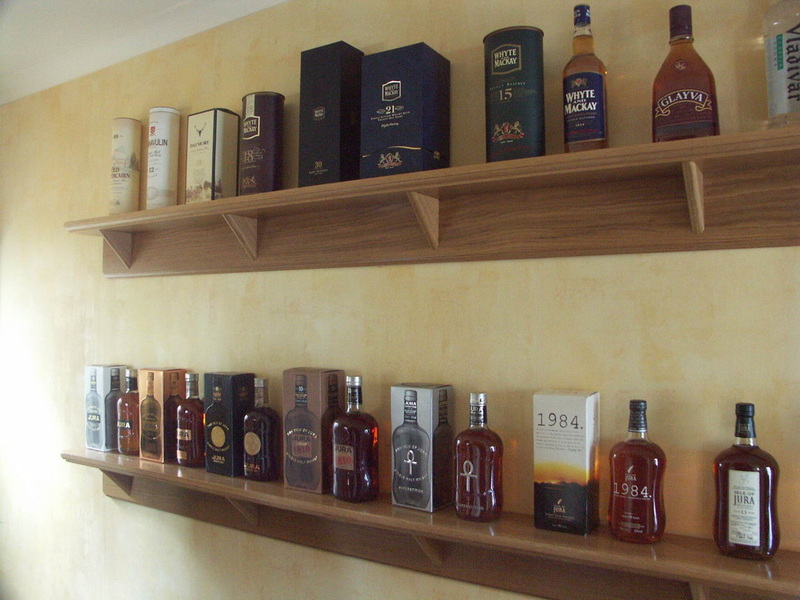 Full size versions of all my photos of Isle of Jura Distillery are available on Flickr.